The newest software release further enhances the features and functionality of the NetSapiens SNAPsolution. 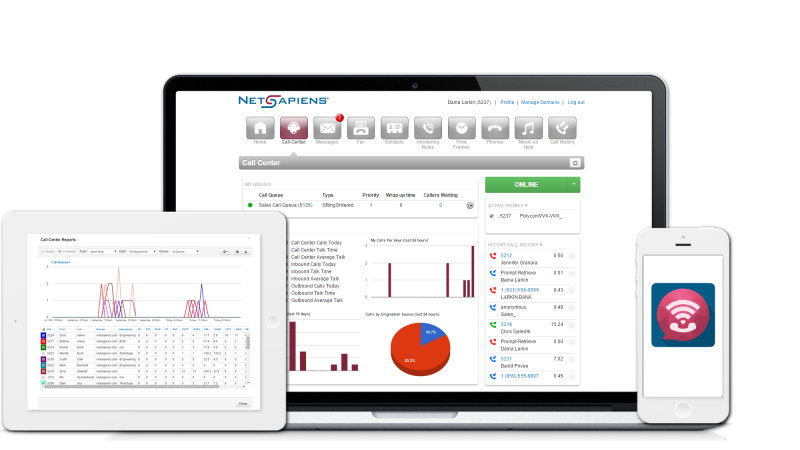 San Diego, CA- August 24, 2015– NetSapiens, a leading provider of VoIP and Unified Communications software solutions, today has released new SNAPsolution features, enhancements, and SNAPped In Services for their service provider clients. NetSapiens is dedicated to consistently innovating new products and features in order to deliver future-proof technology to service providers of many different sizes and business models. Unlike many VoIP or UC software companies, NetSapiens gives their clients access to all of their SNAPsolution features under their Universal Session Licensing agreement. This means that service providers are able to have access to all of the features and only have to pay on a concurrent call basis instead of paying “per seat” or “per feature” for the SNAPsolution features that were released today. The latest release includes their first deployment of WebRTC enabled browser-based real time communications features. These features include video conferencing, chat, file transfer, and screen share that are directly integrated into the user’s current suite of portals. Traffic from the WebRTC applications are integrated into the CDR records and call center statistics that are already native to the SNAPsolution portal, creating a seamless experience between WebRTC, VoIP and traditional telephony. The UC portal features that were released today in beta are expected to be generally available in the next software release. The next software release is also expected to include a beta release of a WebRTC enabled browser-based SIP softclient. The NetSapiens SNAPsolution is a complete VoIP solution with all the features needed to deliver advanced communications capabilities to end users. Two of these features, recording and call center, received enhancements with the latest release of the SNAPsolution software. Call recording is now more reliable than ever thanks to improvements to packet handling and the ability to search multiple Recording Modules. For the first time ever, recording quotas can be set at the domain-level based on multiple, highly customizable criteria. The NetSapiens call center has been refined to include details and settings that were directly requested by current NetSapiens clients. Some of these new refinements include the ability to login and logout of individual queues, more granular reports, and queue prioritization for agents logged in to multiple queues. NetSapiens has also introduced new SNAPped In Services which are third party applications that are fully integrated into the SNAPsolution to enable greater functionality. The SNAPsolution was purposefully designed with RESTful API so that integrations with third party solutions would be an available option for service providers. SNAPped In Services take the next step by creating even tighter interoperability between the SNAPsolution and third party applications. For demonstrations of these new features and enhancements, contact NetSapiens at info@netsapiens.com or call 1(858)764-5203. NetSapiens, a member of WISPA, provides advanced Unified Communications software to the industry’s leading service providers, allowing them to grow their business and become more profitable with next-generation technologies. The NetSapiens SNAPsolution platform is a reliable solution for service providers looking to deliver a wide range of carrier grade VoIP features and functionality to their end-users. This includes Hosted PBX, SIP trunking, contact centers, device provisioning, multi-tenant user portals and more. For more information, visit www.netsapiens.com or follow us on Twitter at @NetSapiens.